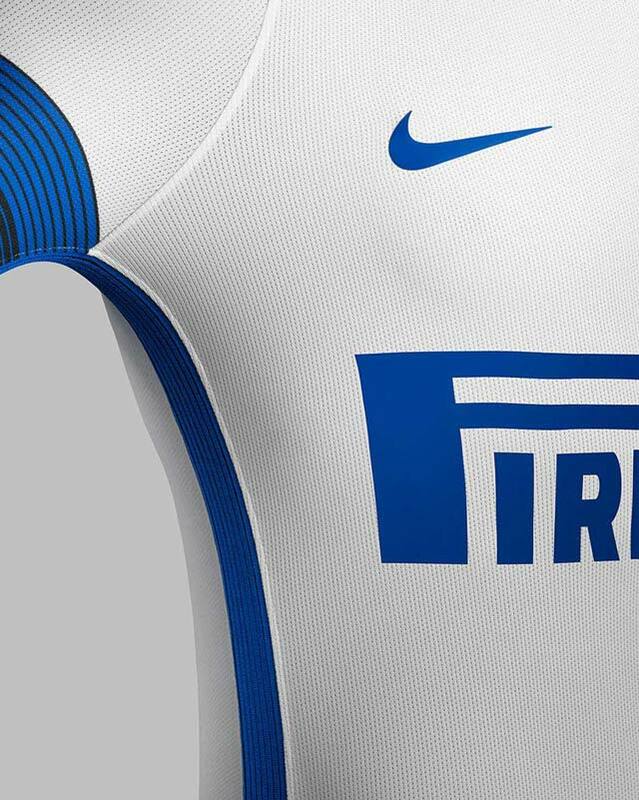 Nike and FC Internazionale have unveiled the shirts to be worn for the 2016-17 season. The distinctive stripes and yellow detailing on the home kit, make it a favourite at FOOTY.COM HQ. 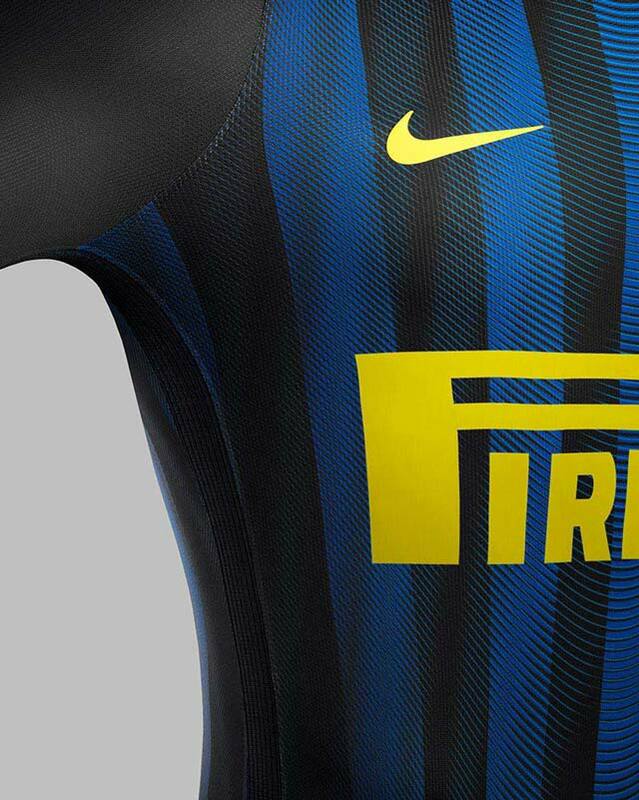 There is something about Nike and Inter Milan. It's a match made in heaven. This new shirt for the 2016-17 Serie A season is a masterpiece, and also sees the return of the yellow Pirelli and Nike logo's, that takes the design to another level. 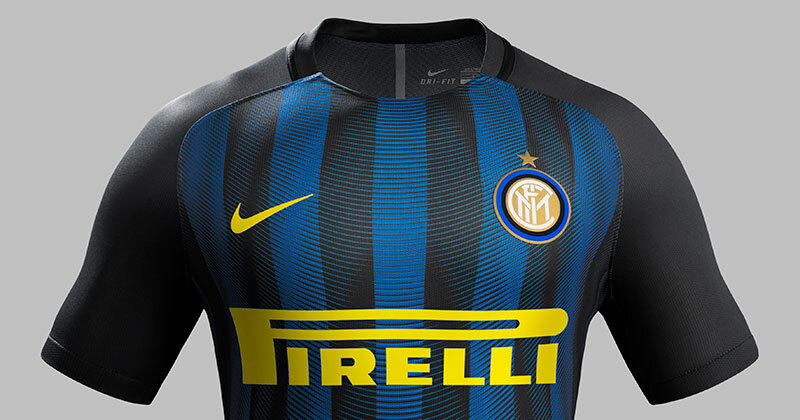 Inter's new home kit updates the club's iconic blue and black stripes with yellow detailing and a tonal linear graphic, with the sleeves and shoulders contrast in black. As an ode to club pride, the modern crew-neck collar features ‘Inter’ knitted on the inside. 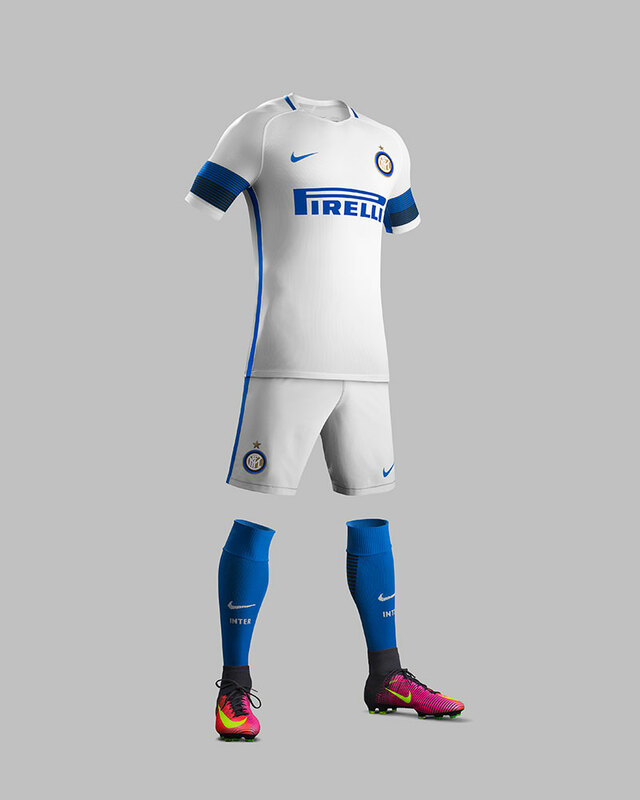 For 2016/17, the Inter away shirt remains white, but transfers the traditional horizontal blue and black chest band to the shirt sleeves. A further ode to club pride features on the modern v-neck collar where ‘Inter’ is knitted onto the inside of the sleeve's blue band. The sides of the kit have a black stripe that runs the length of the shirt and shorts. Expanding when the player is in motion, the stripe maximizes ventilation and reveals a subtle underlying blue. Blue socks, with a black linear graphic on the calf, showcase the club's primary color and accentuate speed. 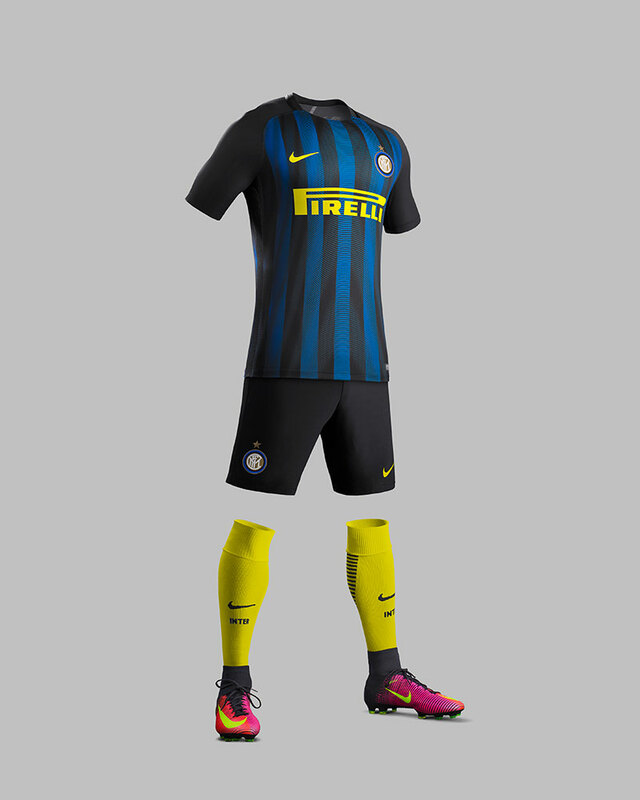 At FOOTY.COM we've fallen for yet another classic, Nike designed Inter kit. Are you in the same boat or do you prefer efforts from previous seasons? Let us know in the comments! Plus make sure you follow us on Facebook, Twitter, Instagram and YouTube to stay up-to-date on the latest kit news. 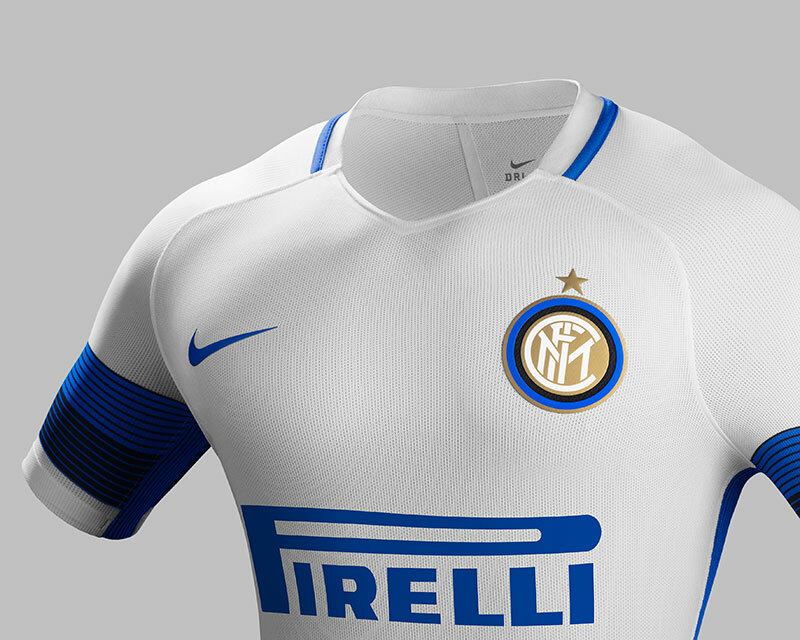 The 2018/19 Inter Milan Home kit draws inspiration from classic shirts of the past.